Farming Foible, or an Agrarian Adventure? : "This Old Rock," the repair show of the future. Today on This Old Rock, we will be discussing how to determine which type and size of rock to use as a hammer. Before we get started, you should wear some safety glasses and earplugs. When utilizing Stone Age tools safety is very important. Always wear your PPE. 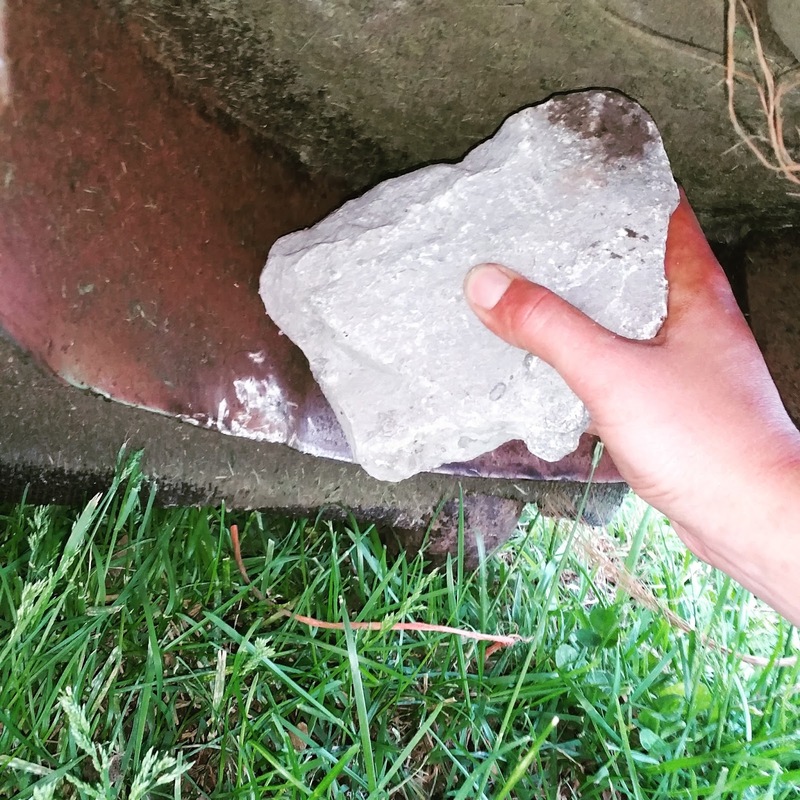 When choosing a rock to use as a beating tool it is important to weigh the benefits of the rock type and the heft. Now of the local rocks I can easily find laying around my work site I personally prefer a nice solid limestone for a hammering application because the sandstone just doesn’t hold up as well. I have found that they tend to crack when enough force is used, so if you do decide to use a sandstone you should probably keep another one in reserve. Shale types obviously are poor choices for the application we are discussing today, beating a lawn more deck back out so that the blade doesn't keep hitting the guard. The size and weight of the rock is important too, because you’re going to need one that will fit with what you are hammering. For my particular application I had to be very careful to get a rock that wouldn't hit the blade while I was working on the guard. Could you take the blade off and use a bigger rock? Yes. But that would require tools, and lets face it If I could find those we wouldn't be here today. 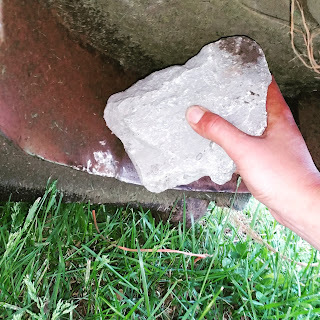 Anyway, too large of a rock and you can do more harm than help to your application, but too small and you might as well never use the mower again. It will take too long to be a viable repair option. So, there is a sweet spot of a rock that is sizable, but isn’t too big to manipulate easily. It may take more strokes to work with a slightly smaller rock, but some of those two handers just aren’t practical. I can’t stress this enough, you need to size your tools properly. But I can’t ever find one. "Nature and Innovation, Together we will go far."